This painting was created to follow up on the previous painting - Cotton Kandy. 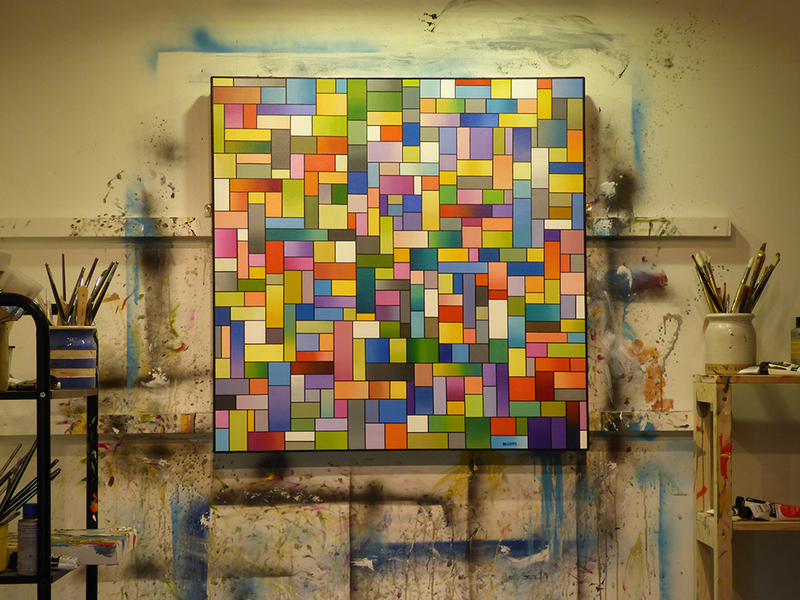 I rather enjoyed the rectangular elements of this painting and decided to make a whole canvas dedicated to similar rectangles. For more information please feel free to contact me at any time.